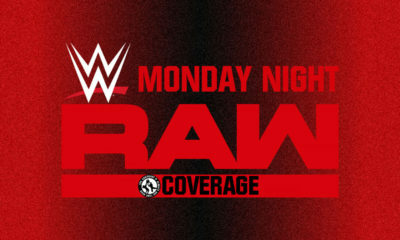 After promising a new and better Raw, The McMahons had a Bad Monday night. Raw wasn’t Good, and didn’t do what was needed to turn things around yet. In fact it was one of the worst Raws in a long line of Bad Raws. Did SmackDown do what it does best, and kill it? Or was it another victim of the ongoing nightmare of recent WWE television? Shane addressing his crew on what needs to be done, reiterating the message from Raw. The SmackDown roster was pumped. Paige got her props and pats on the back and it was quick and painless. With or without the strap, “The Man” is still The Man! Lynch wants Rousey, that’s it. While cutting deep into Ronda Rousey, Charlotte interrupted. “The Queen”claims to hate Rousey more. As the two went back and forth getting more and more personal. At the best possible moment out comes the New Champion, Asuka. That belt looks right around Asuka. It is just perfect. Out comes Mr. McMahon. This just got better. McMahon explained to Lynch and Flair that no one loss but them,and if they have a problem, take it out on Rousey. He then made a big decision and gave the ever deserving Naomi a shot at Asuka. This was a very good way to kick things off, and the effect that was missing from Raw magically clicked on SmackDown. This is Good all around. 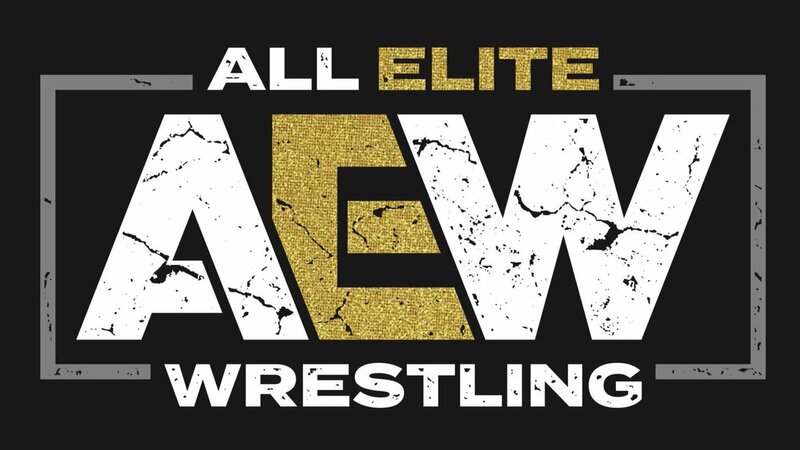 Going into this, it is already pretty Good, it was unexpected, and with the fact that these two have been paired as a great tag team as of late, adds even more interest. Opening up we saw some decent moves and a great pace. All of a sudden it was like the air was let out. Both competitors slowed down to a crawl. They were being very creative but extremely careful. Asuka decided it was time to taunt Flair and Lynch at ringside letting Naomi hit an impressive “Russian Leg Sweep” off the ropes. Just as Naomi looked to have everything finished, Asuka countered and got Naomi into the Asuka Lock, Naomi got out momentarily however got locked in again. Naomi got out again and nearly got the win with a “Rear View.” Naomi again regained control only to be countered and put into a 3rd Asuka lock immediately tapping out. Asuka Wins! Although there were some slow moments, there were also some big ones, making this a Good opening match. The comedic relief was successful, and it set up a match for later in the night. Of course ending with McMahon dismissively leaving the Miz to his thoughts was genius. Another quick and painless promo. He has it all, the talent, the personality, the look. Rusev is the total package. The feud with Shinsuke is fantastic and should be gold. The more Rusev the better. As stated before, Jeff Hardy’s strengths lie in the ring with the action, not on the mic, however he did okay in this promo. Out comes Samoa Joe, who is hit or miss most days. Wasting no time, the words “I’m Sorry” came out of his mouth, but Joe went on to say that this isn’t an apology but an intervention. He continued his verbal assault on Hardy’s past. Hardy decided to jab at Joe this time attacking his record in WWE. Samoa Joe looking salty went for Hardy but got a “twist of fate” for his trouble. Again, the trend of short and sweet promos are a winner. No overkill, got the point across and made an impact. This match was set up to fail. It really doesn’t make much sense. R-Truth always being confused if funny but getting old. Carmella and Truth together isn’t bad but this whole thing is a waste. R-Truth looked good in there though, until the flossing commenced. After Carmella took out Mandy Rose, The Miz hit a “Skull Crushing Finale” for the victory. This was a quick and pointless match of the evening, but the content and in ring didn’t look Bad, most of it was in fact Good. The fact that it was quick make it even more bearable. Suprisingly the Uso’s even getting booed greeted the fans graciously on the way to the ring. Before things could get ugly, Gallows and Anderson came out to interrupt. Speaking the truth Anderson spoke about how the Tag Team Division is stale and redoing the same story over and over, while they have been on the bench. Gallows escalated it further into a match via The McMahons. Quick, painless and effective once again. This trend is a Good one. Gallows and Anderson took care of business early in this one. Frequent tags and wearing their opponents down. After a hot tag Jey Uso tore it up until Anderson cut him down. Gallows hit a hard “sitting choke-slam’ but only for a two count. Jey Uso went for a huge dive but was kicked in the face by Anderson who took a hard fall on his head to the outside. The Uso’s took control but couldn’t stop Gallows and Anderson from dominating. Just when The Uso’s looked to finally have it all finished, The Bar’s Music hit and Sanity came out of no-where destroying the Usos. Sanity is Good for business. Although we had a cheap finish, we also had an unexpected surprise. A Good Surprise. Bravo once again! The Bar picked the Uso’s clean after all was said and done just as a reminder that they mean business. Quick and effective, is the theme of the night, and once again it was delivered successfully. The idea behind the match was Good. Getting the faces out that aren’t seen every week is always Good. That’s what the roles are, the top guys need to work with the enhancement talent for a successful show. This really makes sense for the weekly show format. Daniel Bryan’s promo reiterated the usual “death of the Yes Movement” sentiment and obviously got the crowd fired up. Luckily again, it was short and the action wasn’t far behind. Mustafa Ali has a great look and will be a strong addition depending on how he is continued to be booked. Cien Almas is fantastic, and looked really sharp with AJ Styles. He consistently has Good content, SmackDown was no different. The match was action packed, technical wrestling, awesome strikes, and a lot of variety. The Main Event was just that, and did not disappoint. The “Dragon Sleeper” on Mustafa Ali from Bryan was simply awesome! 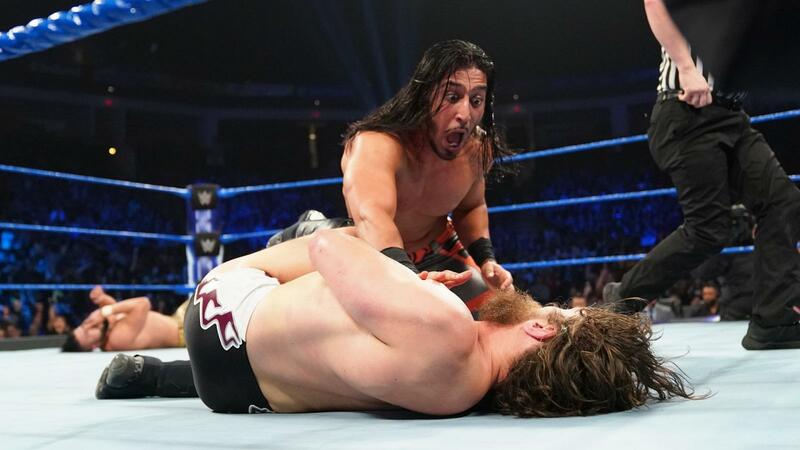 It looked like Styles had it won trapping Daniel Bryan in the “Calf Crusher” but Almas broke it up. Bryan came back and kicked AJ Styles head off, but Styles regained momentum with a moon-sault into a reverse DDT. AJ Styles took out Almas and Mustafa Ali hits the “054” for the victory! This was a fantastic show all around and exceeded expectations. Well if anyone wondered what changed last night on Raw, and what the hell was going on, didn’t have to ask anymore. McMahon finally seems to have bought into SmackDown being the fantastic spectacle that it is. We had tweaks and changes much like Raw, however these only added Good things for SmackDown. This was a Good show, and had a tremendous energy, like when your parents are coming over your house for the first time. The SmackDown crew, showed off,and it added something even more special to an already important night. Great SmackDown! Looking forward to more of this and hope that Raw took notes.